When the communists came to power after World War II, they wrote another page in the history of the Arenas. Since 1966, for two years, Roman Arenas entered into a process of restoration and modification, any badge or ornament resembling the monarchy era being overthrown. 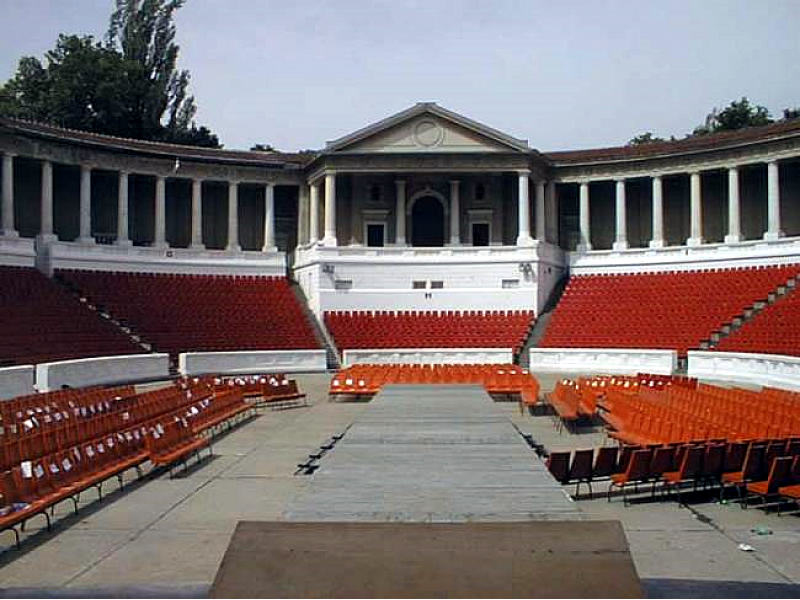 They had to erase the memory of a glorious past from the minds of the Romanians and make them associate the “Roman Arenas” with the communist era, so they closed the amphitheatre and raised and covered the scene. They poured concrete over grass and built offices for the administrative staff behind the scenes. The porch has been closed to new large glass windows, while the royal box was increased from four rooms to six rooms. The roof of the lodge was also rebuilt, and under its terrace they arranged a room for film screenings. At the Roman Arenas were held now, folk concerts, theatre performances or movie screenings. After the Revolution, the arenas have been forgotten and their function of amusement and recreation state was replaced with a more practical function, that of a textile production and storage.